Plenty of sleepless nights with 3 consecutive sessions of Storm Petrel ringing between the 26th and 28th. Totals for the overnight trapping have been 71, 104 and 98 respectively with single Leach's Petrels also caught and ringed each time. 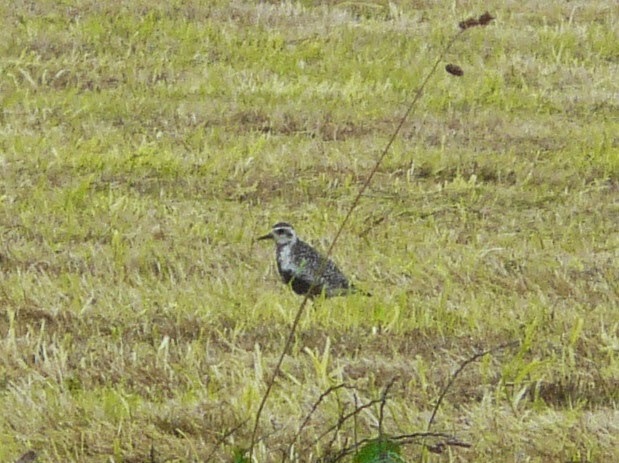 Daytime highlights included a Hobby which flew south past the observatory on 29th and the Pacific Golden Plover seen again in fields at the south end on 28th. Counts of waders included 164 Oystercatchers, 193 Dunlins, 19 Knot and 97 Sanderlings on 27th, 6 Whimbrel on 28th and 11 Black-tailed Godwits on 29th. A Pink-footed Goose was new in on 27th, while a Pochard, 18 Lesser black-backed Gulls and 213 Common Gulls were of note on 29th. Despite the persistent fog causing havoc with transport to and from the island in the last couple of days there have been a few things to see. The Pacific Golden Plover was seen both days, mainly around the Holland/Mill area with at least 600 Golden Plovers for company, while 153 Dunlin and 14 Knot were counted on 24th. A Green Sandpiper was in the Gretchen area again while a juvenile Cuckoo at Westness was new. Overnight the second Leach's Petrel of the year was caught and ringed along with 17 Storm Petrels. 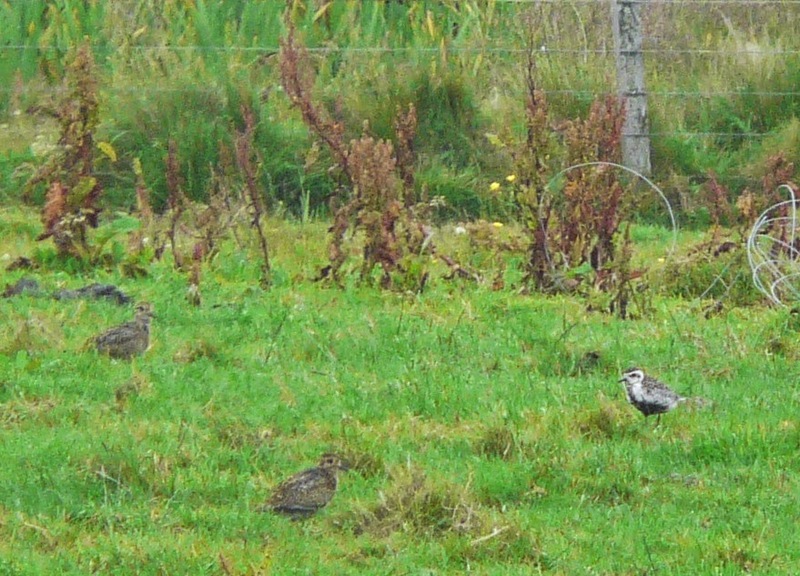 With the Golden Plover flock having built to over a thousand birds yesterday, it perhaps wasn't all that surprising when an adult Pacific Golden Plover was found near Holland mid-morning. After initially being quite mobile around the south-east of the island it went on to favour newly cut fields in the Greenwall/Mill area where it showed well despite the foggy conditions. A minimum of 750 Golden Plovers were also seen along with at least 7 Black-tailed Godwits while overnight 18 Storm Petrels were caught and ringed at the observatory. 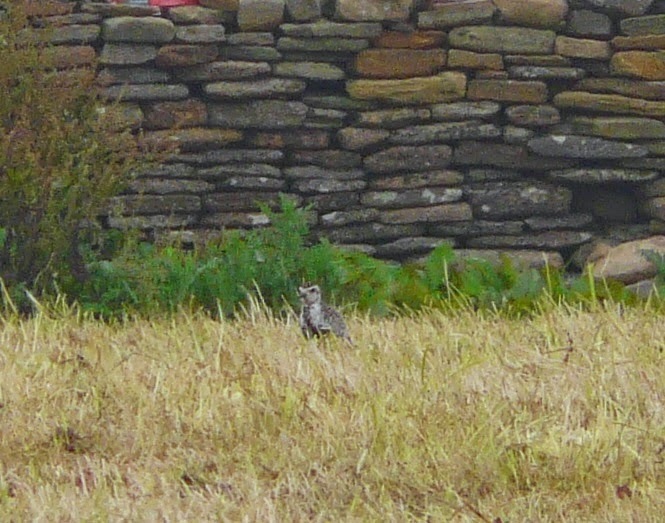 Pacific Golden Plover-The 10th (and 3rd in 4 years) to have visited North Ronaldsay!! There can't be any better place in the UK to potentially see the species. 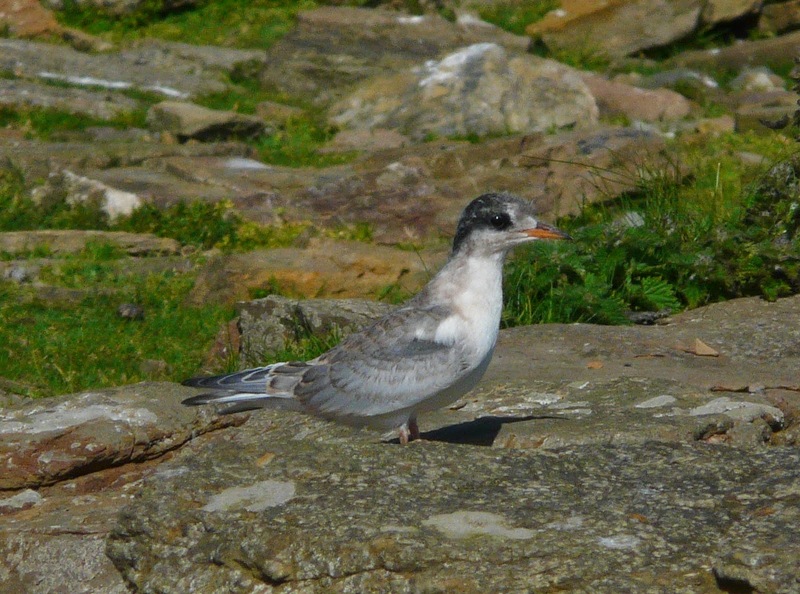 The Roseate Tern was back in the Westness Tern colony on the 21st, but it was only present in the morning and has been looked for several times before and after so it obviously visits other parts of the island too. 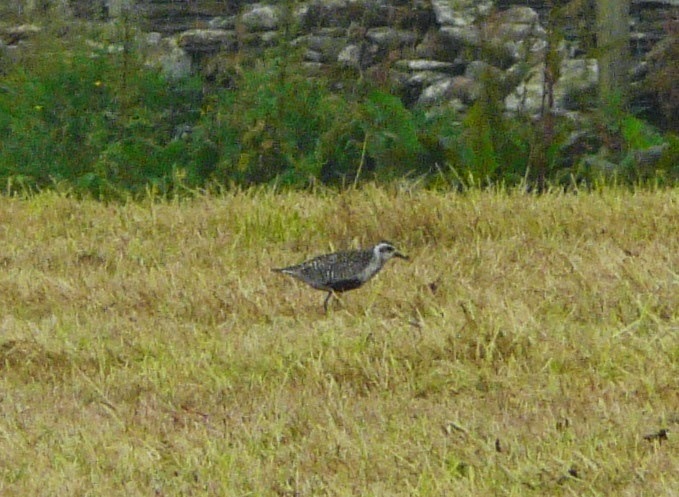 Otherwise it's been returning Waders which have generated the most interest, with a couple of Green Sandpipers on Ancum Loch on 20th, a single near the Observatory the next day when the first Greenshank of the Autumn flew over, the first juvenile Ruff was at Holm on 22nd and 1047 Golden Plovers were counted. 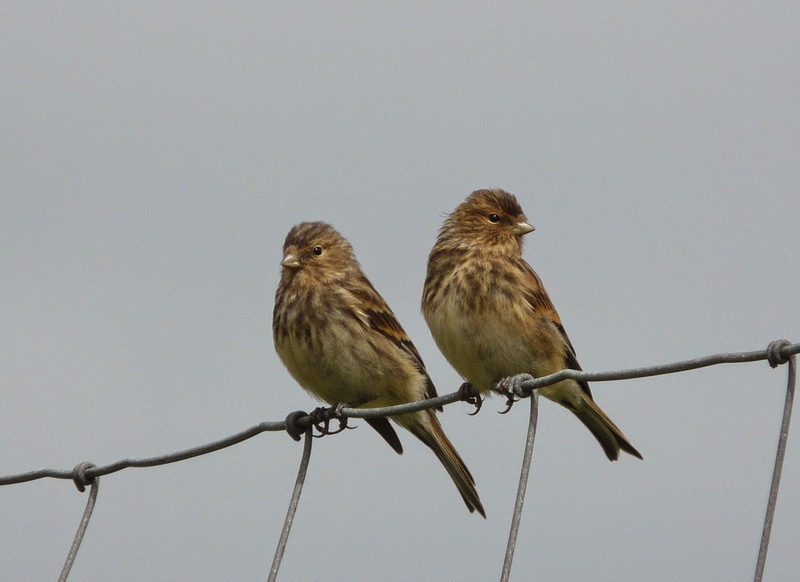 Familiar species continue to pass through the island each day and there was even some unexpected quality on the 19th. The sea-watching season has only just began so the eleventh island record of Balearic Shearwater, which passed by the hide at close range mid-morning was a nice early highlight. More surprising was that the bird flew east with 99% of sea-birds on the move, like the 10 Manx Shearwaters also seen, flying west-perhaps a bird feeding in the area? 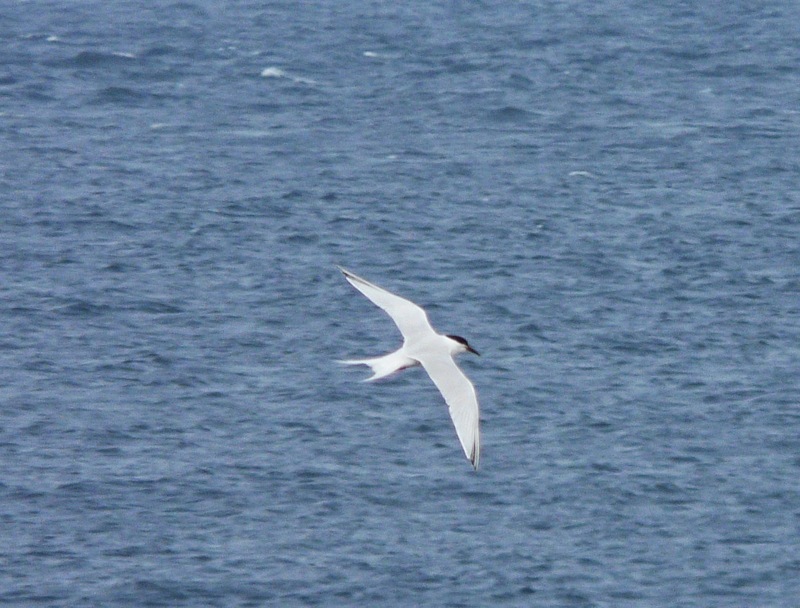 Topping this though was an adult Roseate Tern (probably present since 15th) among the Arctic's at Westness which becomes just the seventh North Ronaldsay record and the eight individual following last years pair. It showed briefly around mid-day before disappearing but was re-located in the evening and performed brilliantly. Wader species showing signs of increase the same day included 23 Knot, 167 Dunlins and 22 Bar-tailed Godwits, while on 18th 230 Oystercatchers were counted and on 17th a group of 6 Black tailed Godwits dropped into Gretchen briefly. The Grey Phalarope was still there on 17th with a Green Sandpiper and a Pochard at Bridesness. A few single Swifts have also been seen and on 18th a Sand Martin was on the Links and a Carrion Crow at the Observatory. There have been a few more signs of Autumn migration each day with Wader numbers continuing to build, especially after a blast of easterly winds on 16th. The majority of sightings came from that date when 897 Golden Plovers were counted, along with 144 Dunlins and 148 Redshanks. 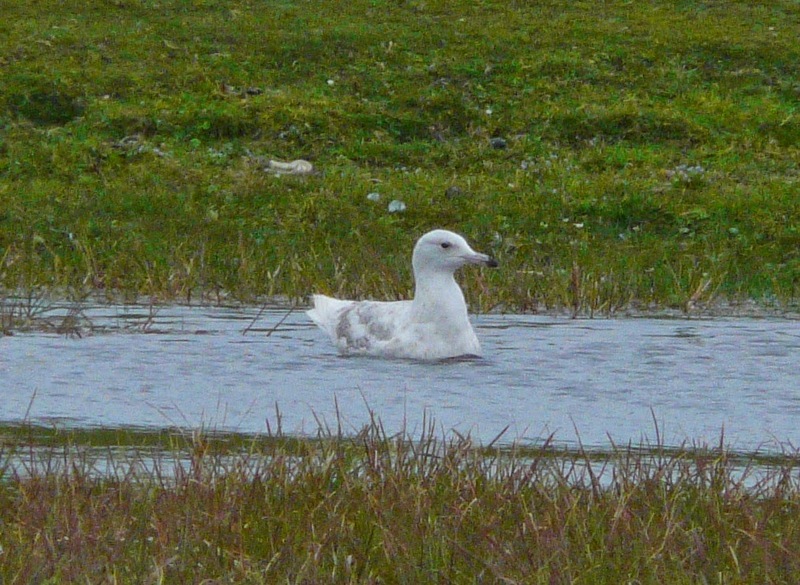 A Green Sandpiper was heard calling over the Observatory in the evening while there was an unusual mid-summer record of an Iceland Gull near the Lighthouse. 16 Lesser black-backed Gulls were also at the north end, a Common Tern on Gretchen Loch with a Swift there too. The summering Grey Phalarope was seen on 12th and 15th, with 2 Little Gulls still present on the former date and a Collared Dove and Common Redpoll on the latter. The busiest Storm Petrel ringing session so far saw 44 caught and ringed overnight 15th/16th with a Leach's Petrel seen around the nets the same night. Good, summer weather continues, with sunshine on 3 out of 4 days during the period and light winds throughout. A smart male Ruff and Green Sandpiper on the 8th were the more interesting waders among the more routine Golden Plovers (peak of 531 on 9th), occasional Knot and Sanderlings, Dunlins (38 on 10th) and a few Whimbrel (3 on 10th). The Grey Phalarope was seen on Gretchen each day but has now virtually moulted into winter plumage and 2 of the Little Gulls were there until 9th. On a cloudy 8th/9th the first Leach's Petrel of the year was caught and ringed, along with 8 Storm Petrels while 3 Grey Herons were new arrivals on 11th. Arctic Tern chicks are fledging en-mass with at least 220 now airborne and the final figure seems likely to exceed 300-a great turnaround after 10-15 poor years. Aside from returning Waders and Tern monitoring its been pretty quiet with a couple of staff birthdays, sheep clipping and work on the new heligoland trap the main developments. The Grey Phalarope continues to entertain on Gretchen Loch while Golden Plover numbers are increasing rapidly, having reached a minimum of 632 by 7th when there were also 22 Dunlin. Up to 3 Little Gulls also remain, with a Collared Dove (3rd and 7th) and Kestrel (6th) the only other sightings of any note. 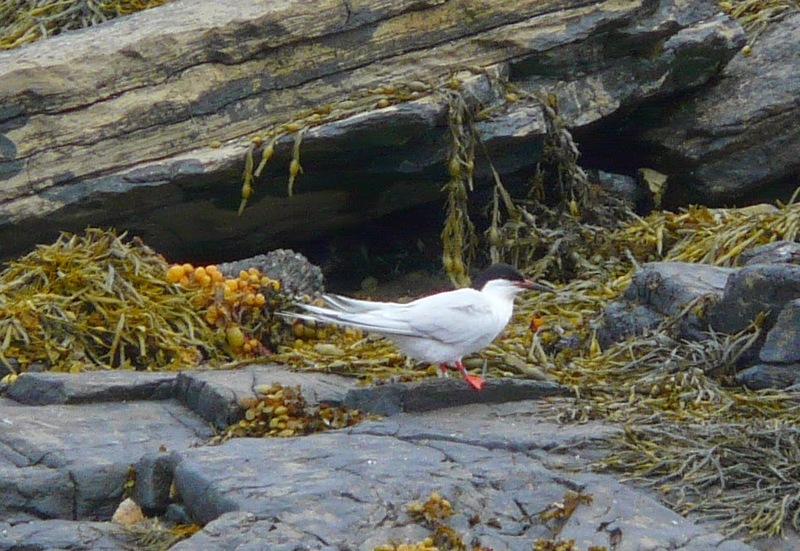 Although a couple of the Arctic Tern colonies have suffered from predation, there's still plenty of encouraging signs. This is 1 of at least 40 Chicks to have fledged in the last few days from the strongest colony at Westness, where another 100+ are close to flying too. 35 more are also now on the wing at other sites where remaining chicks are also growing fast and pairs are laying for a second attempt. While we're still a few weeks away from declaring the season a success, its already been by far the best year for well over a decade! Ringing the many Arctic Tern chicks has continued to dominate recent proceedings whilst coverage takes a back seat. 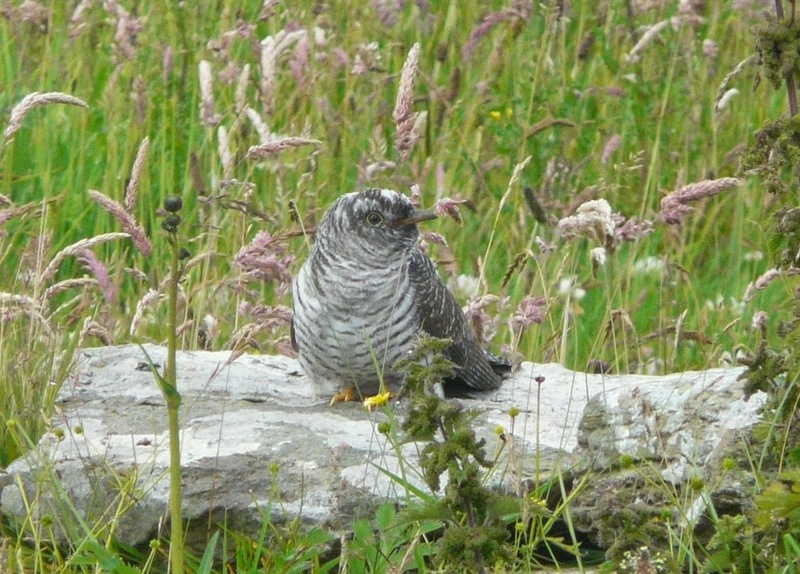 Pleasingly some of the above have fledged in recent days and everything is crossed for the few hundred smaller chicks. The Grey Phalarope has been settled on Gretchen Loch throughout as have varying counts of Little Gulls and Knot whilst recently cut hay fields are filling with returning Golden Plovers and Oystercatchers. An early Willow Warbler was at Holland on the 30th, 6 Swifts were over the airfield on 1st July and a Curlew Sandpiper was on Gretchen with 15 Dunlin on 2nd.